Setting up a budget for yourself or your family is very important. It should not be viewed as a way to punish yourself and reduce your spending. It should be seen as a way to stop wasting your money and use your money more effectively for the things you and your family really desire. A good budget can help keep your spending on track and even uncover some hidden cash flow problems that might free up even more money to put toward your other financial goals. The hardest part of creating a budget is sitting down and actually creating one. This includes bank statements, investment accounts, recent utility bills and any information regarding a source of income or expense. The key for this process is to create a monthly average so the more information you can dig up the better. If you are self-employed or have any outside sources of income be sure to record these as well. If your income is in the form of a regular paycheck where taxes are automatically deducted then using the net income, or take home pay, amount is fine. 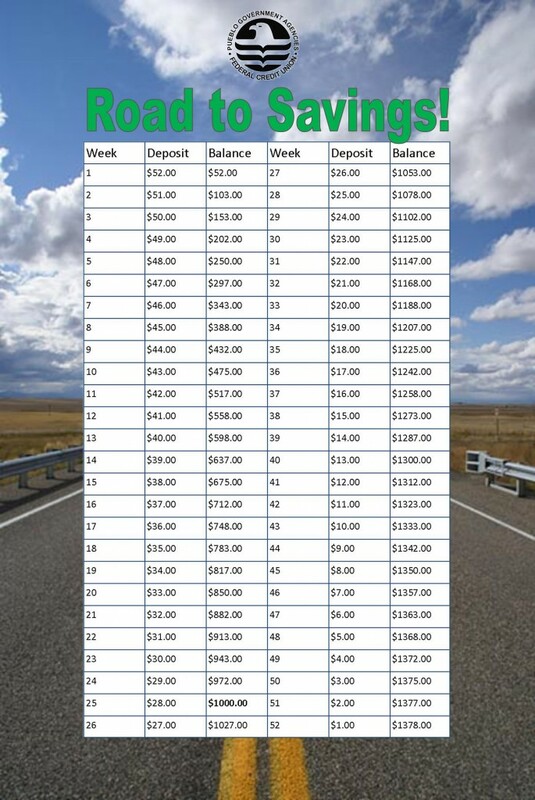 Record this total income as a monthly amount. Write down a list of all the expected expenses you plan on incurring over the course of a month. This includes a mortgage payment, car payments, auto insurance, groceries, utilities, entertainment, dry cleaning, auto insurance, retirement or college savings and essentially everything you spend money on. Try using PGAFCU’s Budget Worksheet to start. Fixed expenses are those that stay relatively the same each month and are required parts of your way of living. They included expenses such as your mortgage or rent, car payments, cable and/or internet service, trash pickup, credit card payments and so on. These expenses for the most part are essential yet not likely to change in the budget. If your end result shows more income than expenses you are off to a good start. This means you can prioritize this excess to areas of your budget such as retirement savings or paying more on credit cards to eliminate that debt faster. If you are showing a higher expense column than income it means some changes will have to be made. If you have accurately identified and listed all of your expenses the ultimate goal would be to have your income and expense columns to be equal. 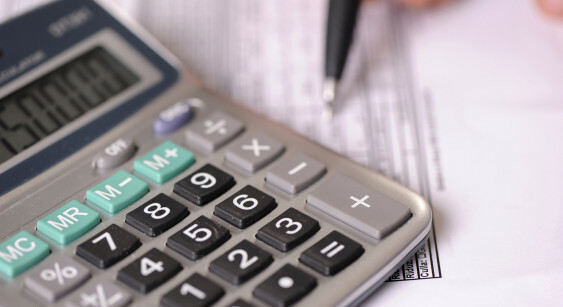 This means all of your income is accounted for and budgeted for a specific expense. It is important to review your budget on a regular basis to make sure you are staying on track. After the first month, take a minute to sit down and compare the actual expenses versus what you had created in the budget. This will show you where you did well and where you may need to improve. 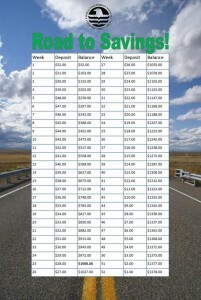 With this savings chart, you can have $500 saved by April, $1000 by July, or over $1300 at the end of a year!